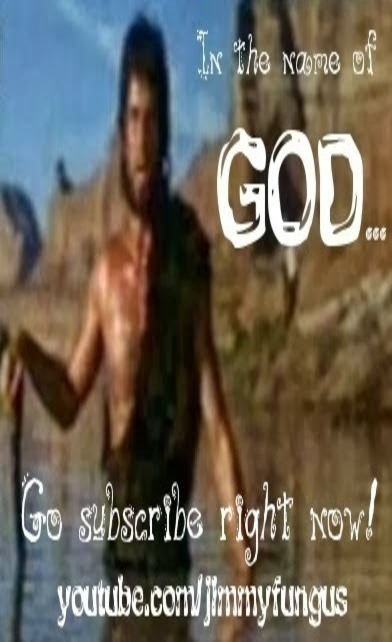 JimmyFungus.com: Harold Camping and his Epic Fail: Where do Hitler and Rebecca Black stand? 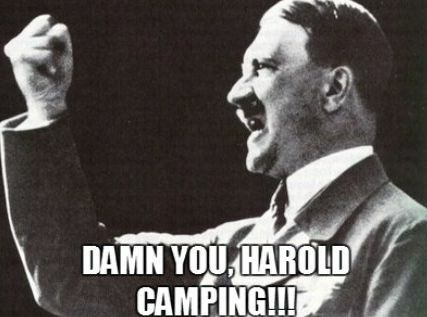 Harold Camping and his Epic Fail: Where do Hitler and Rebecca Black stand? Well, if ya haven't heard Harold Camping has indeed addressed the media on his epic fail end of the world prediction in a real snooze fest of a press conference. But once again proving that Funguzz Vizzion is the greatest time saving blog on all of the internets, one of my commenters summed up what it took Harold Camping to say in an hour and a half in a single sentence Justsayin' said..."LOL I seen this morning that he claims now it was an invisible end of the world and we are all doomed now in October because he screwed his math up. lol My goodness." Harold Camping's press conference was briefly available here as the May 23rd edition of the Open Forum radio program Open Forum Listen Online (MP3) , for some reason it was taken down. But the next obvious question is: Where does Hitler stand on all this? Well, as you can imagine he is not exactly thrilled. Incidentally, you don't have to be Hitler to phone in to the most exciting call in program in the galaxy Open Forum Listen Online (MP3) , but if you are Hitler, well that's cool...You can call in and talk to Harold Camping the man himself! But was this whole Rapture fiasco part of an even darker plot...was it a diabolical scheme to try to ruin America's brand new sweetheart Rebecca Black???? DAMMIT WITH A CAPITOL D!!! HITLER HAS BEEN FOILED AGAIN!!! 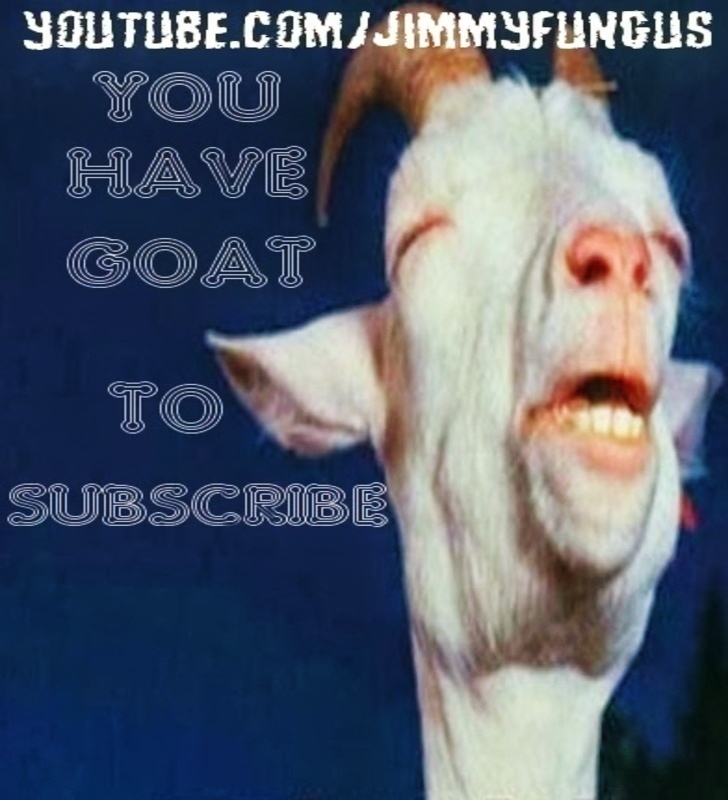 Well, that will almost end yet another thrilling trek through the blogosphere here at http://jimmyfungus.com,...R.B. Rebecca Black play us out! 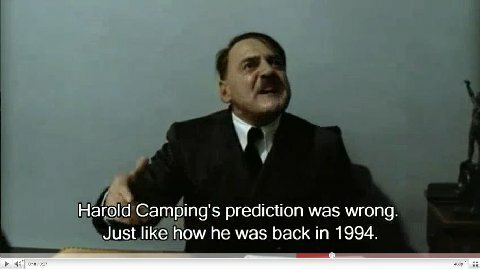 LOL what Hitler says at 0:50 was too hilarious! funny post, thanks for the laugh! 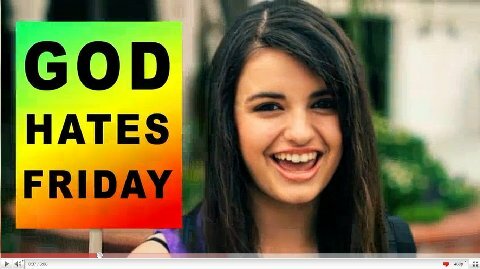 hitler jokes kinda aint funny.. but i did like the movie..
Don't diss on my girl Rebecca Black! Wuft! Haha awesome article, keep posting! Followed. all I can say is LOL! Hitler, Rebecca Black, and God. This post has everything.